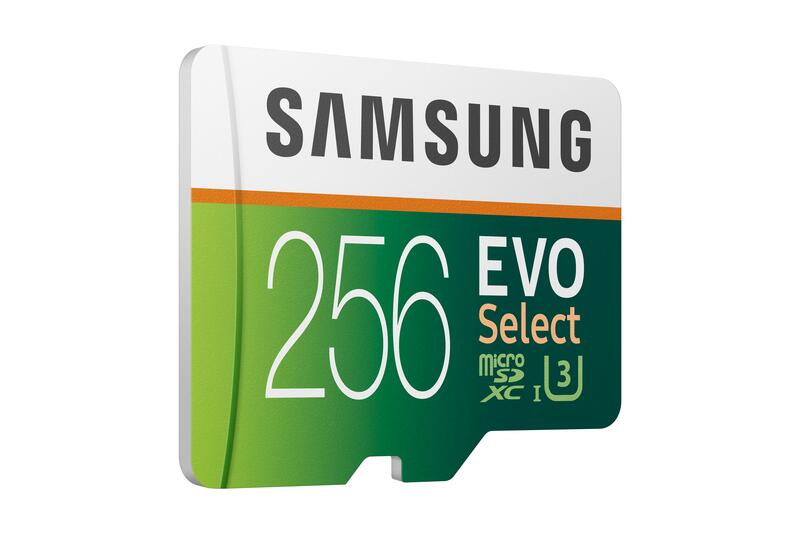 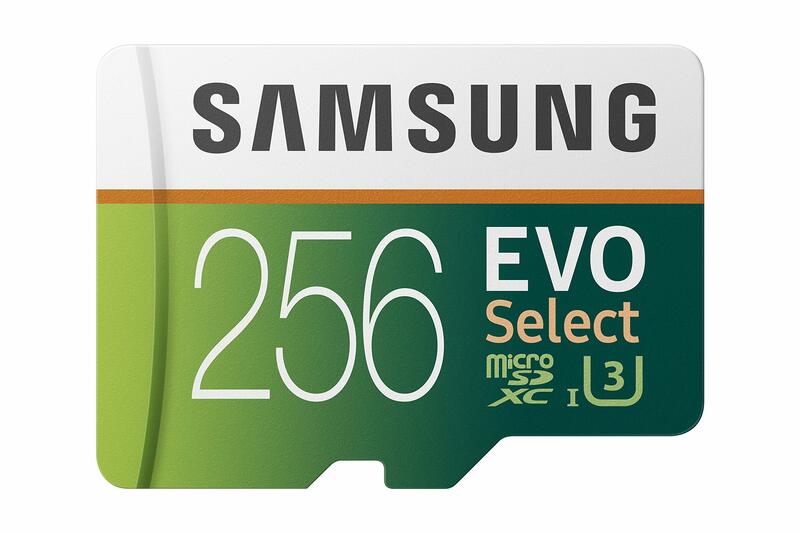 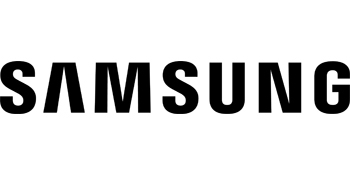 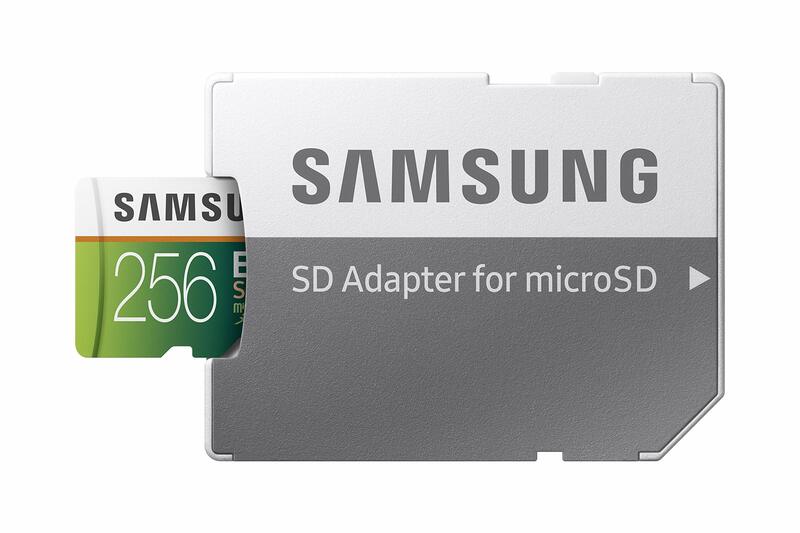 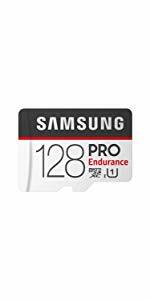 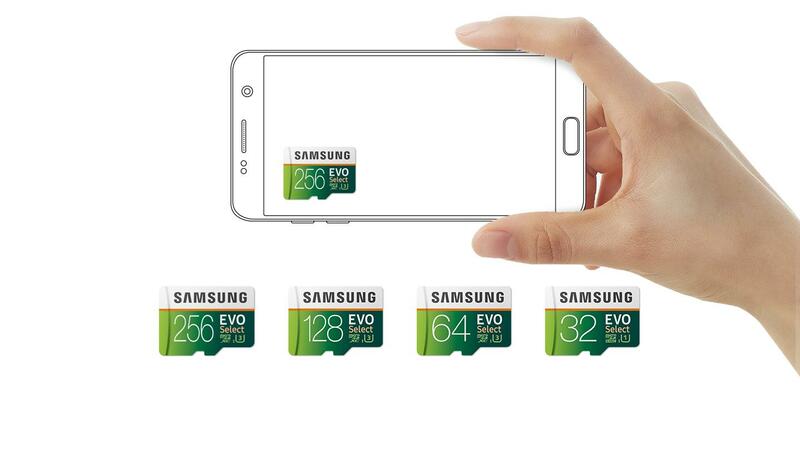 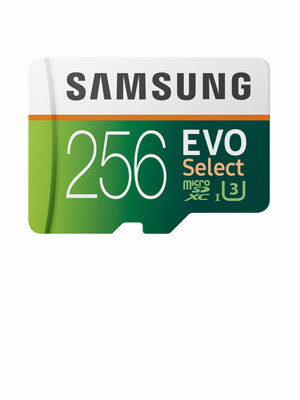 Samsung 256GB microSDXC memory card adds high-performance storage. 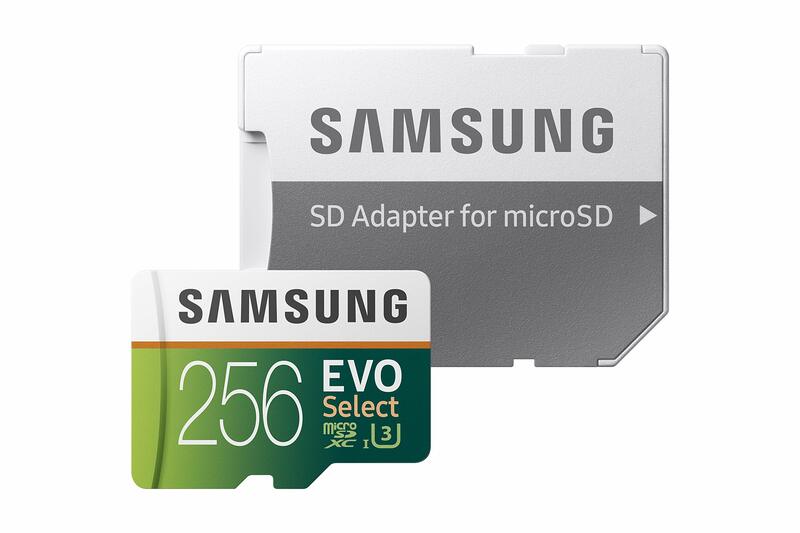 With stunning speed and reliability, the Samsung 256GB MicroSDXC EVO Select memory card lets you get the most out of your devices. 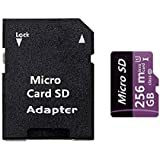 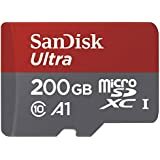 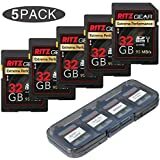 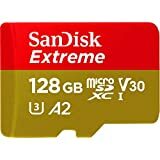 Ultra-fast read & write speeds of up to 100MB/s & 90MB/s and backed by 4-proof protection, keep your data safe against water, extreme temperatures, and other harsh conditions. 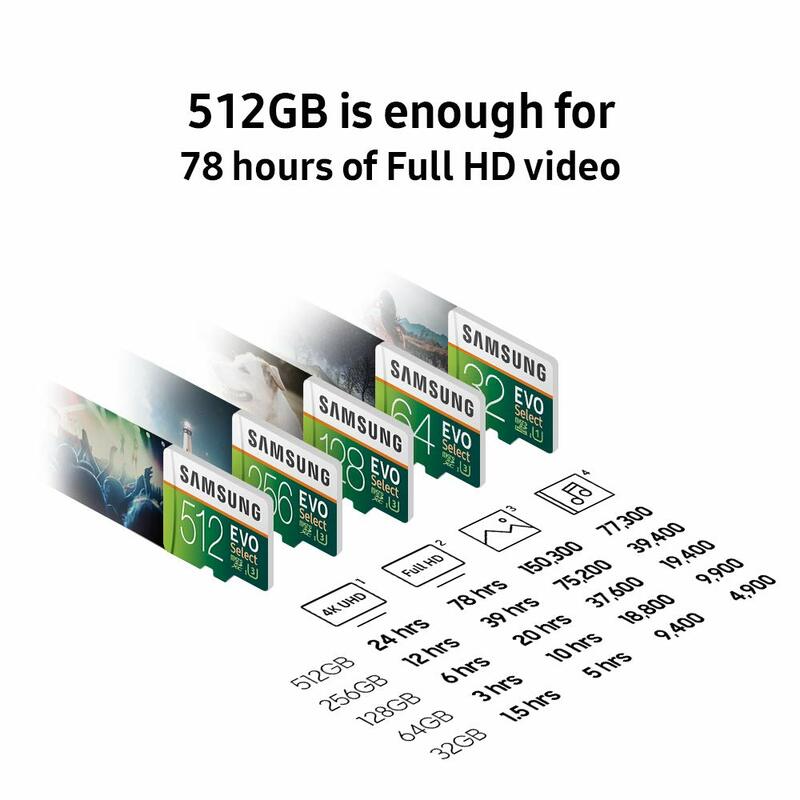 Feel confident to capture, store and transfer 4K UHD videos, photos, music and other large files effortlessly. 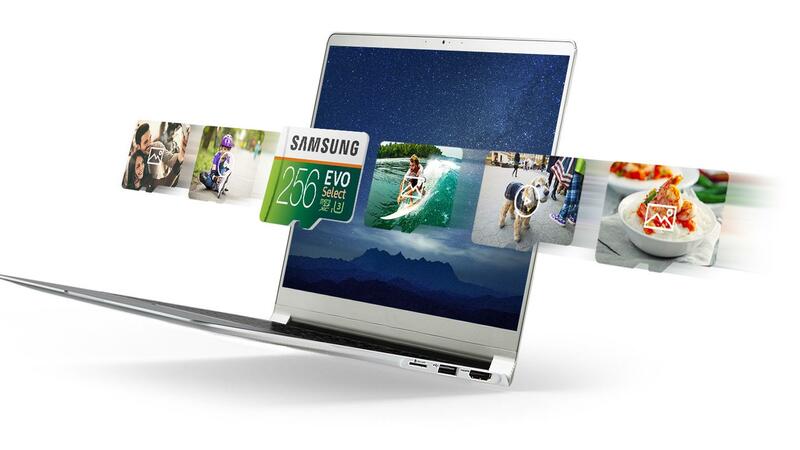 Your memories and adventures are irreplaceable, and now unforgettable. 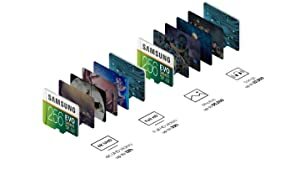 Record and play 4K UHD video. 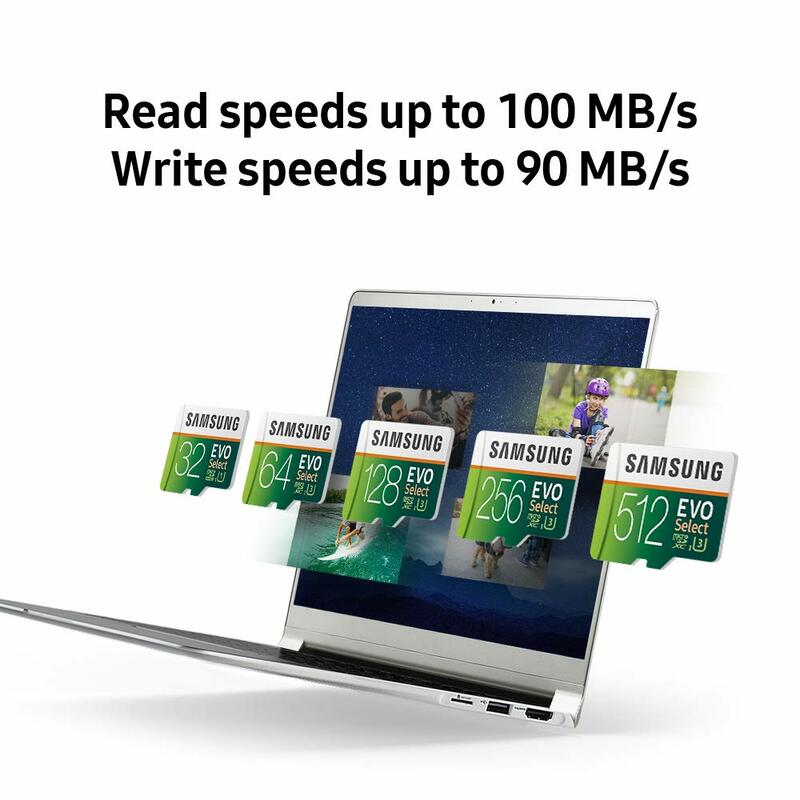 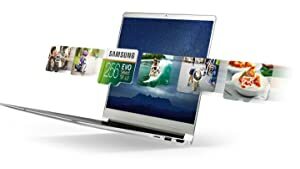 With ultra-fast read & write speeds up to 100MB/s & 90MB/s respectively, the Samsung 256GB EVO Select lets you transfer a 3GB video to your notebook in just 38 seconds. * Shoot high quality photos and videos, and share them all in an instant. 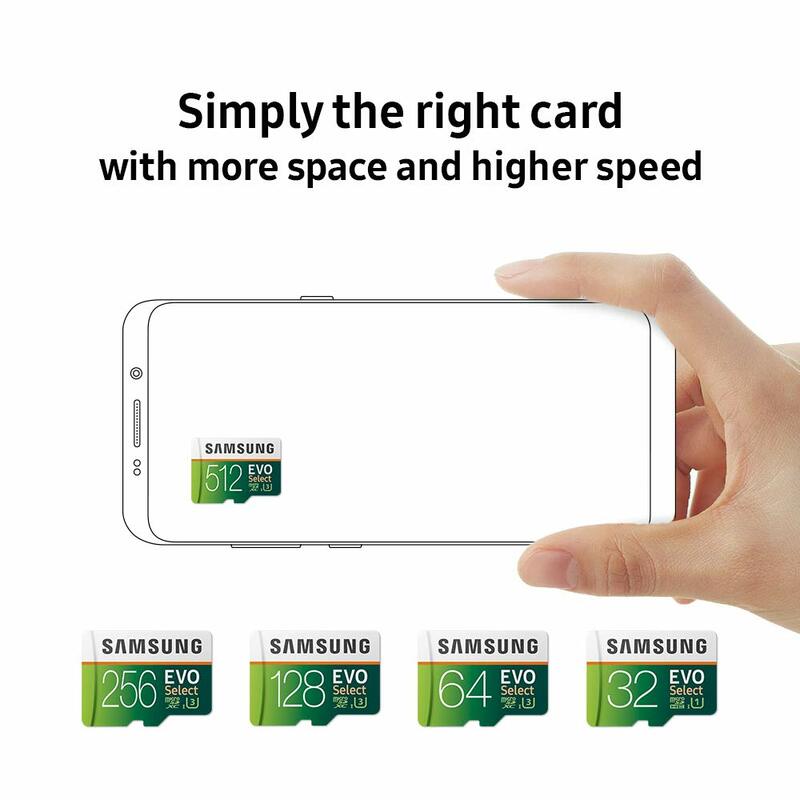 Never worry about space again. 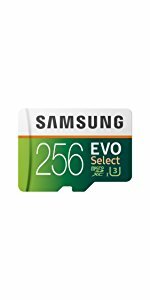 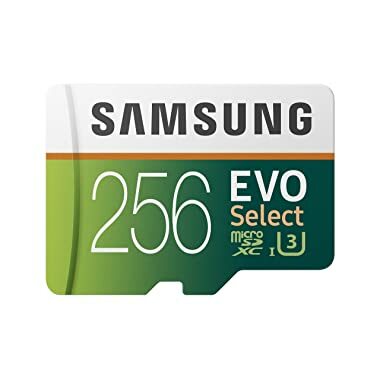 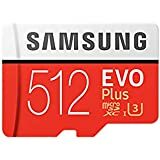 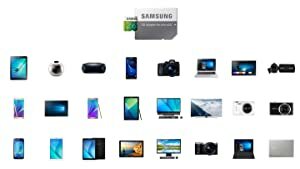 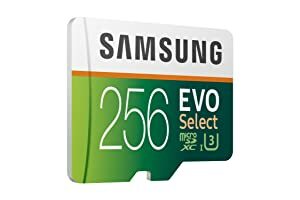 With massive amounts of storage the Samsung 256GB EVO Select is enough memory for up to 12 hours of 4K UHD video, 33 hours of Full HD video, 55,200 photos, or 22,500 songs. 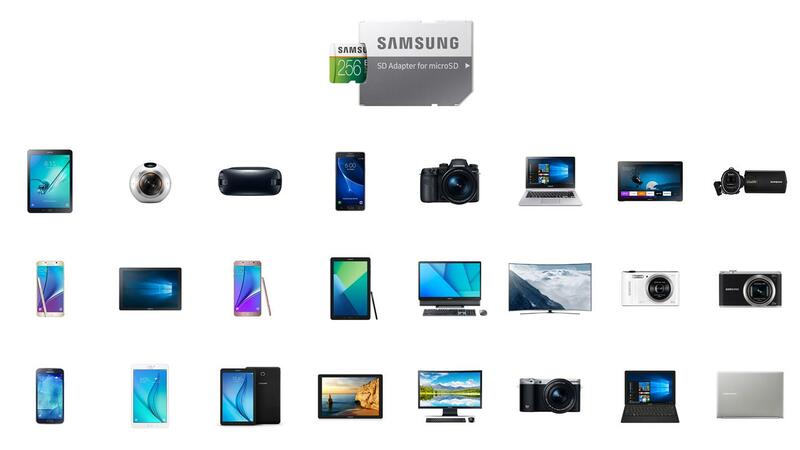 * So go ahead and savor all of what life has to offer, and keep it all too. 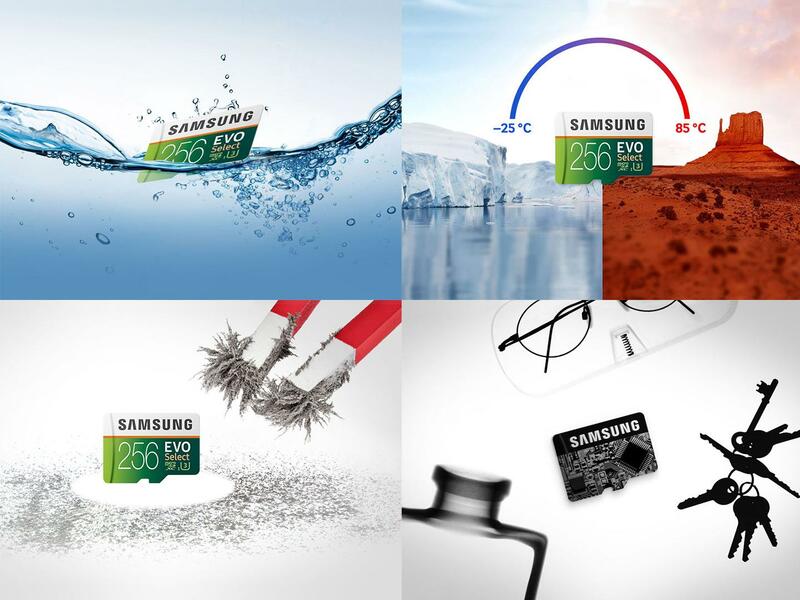 Your experiences are irreplaceable, and now unforgettable. Backed by 4-proof protection, the Samsung EVO Select memory cards can withstand up to 72 hours in seawater¹, extreme temperatures², airport X-ray machines³ and magnetic fields⁴ equivalent to an MRI scanner.